The Russian men's national ice hockey team (Russian: Сборная России по хоккею с шайбой) is the national men's ice hockey team of Russia, overseen by the Ice Hockey Federation of Russia. As of 2018, they are rated third in the IIHF World Ranking. The team has been competing internationally since 1992, and is recognized by the IIHF as the successor to the Soviet Union team and CIS team. The Russian team is a member of the so-called "Big Six", the unofficial group of the six strongest men's ice hockey nations, along with Canada, the Czech Republic, Finland, Sweden and the United States. The European nations of the Big Six participate in the Euro Hockey Tour, which Russia won seven times since 2005. Russia has 84,270 ice hockey players registered with its ice hockey federation. Since April 2018, the head coach is Ilya Vorobiev, taking over for the second half of the 2017–18 Euro Hockey Tour. The Allrussian Hockey League was founded by some clubs in the Russian Empire and entered the International Ice Hockey Federation (IIHF) in 1911. However, probably due to misunderstandings ("hockey" was identified with bandy or Russian hockey in Russia, not with the modern ice hockey rules developed in Canada) the Russian team left the organization. There were no matches involving a team from Imperial Russia. From then until the demise of the Soviet Union in 1991, the "Red Machine" (Russian: Красная Машина; Krasnaya Mashina) was one of the most dominant teams in international play, winning nearly every World Championship and Olympic tournament, as well as defeating most teams with professional players it faced such as in the 1974 Summit Series and the Super Series. Until 1977, professional players were not able to participate in the World Championship, and it was not until 1988 that they could play in the Winter Olympics. The Soviet team was populated with amateur players who were hired as regular workers of a company (aircraft industry, food workers, tractor industry) or organization (KGB, Red Army, Soviet Air Force) that sponsored what would be presented as an after-hours social sports society hockey team for their workers but were set-up for the athletes to train full-time. This type of amateur player was common throughout the Eastern Bloc nations and was contested by the Western nations due to their best players participating in other professional leagues, eventually leading to the allowance of professionals by the IIHF and IOC. The Soviet Union dissolved shortly before the 1992 Winter Olympics, so a Unified Team largely consisting of the former Soviet republics competed instead. The CIS national ice hockey team, consisting of 21 Russian players, 1 Lithuanian and 1 Ukrainian, competed as part of this Olympic delegation. The team finished second in its preliminary group, beating co-favorites Canada, 5–4, but losing to Czechoslovakia, 3–4. The CIS team then defeated the Finns and Americans, 6–1 and 5–2, respectively. In the final, they played Canada again, winning 3–1 and claimed the gold medal. The team was coached by the Russian and former Soviet coach Viktor Tikhonov. In later years, the IIHF recognized this gold medal as being won by the Russian national team, rather than by the CIS. However, the International Olympic Committee has not recognized Russia as the Olympic champions for this Winter Games. Russia joined the IIHF as an independent state on 6 May 1992, along with 10 other states, including seven other former Soviet republics. 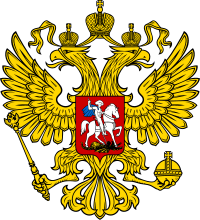 Unlike the others, which applied as new member states and had to begin playing at the bottom tiers of the World Championship, Russia was allowed to replace the Soviet Union in its position, and was thus entered into the elite division for the 1992 World Championship. Russia's first actual games after the Soviet dissolution were a series of five friendly games between Sweden, Germany and Switzerland, all taking place in April 1992, the debut game occurring on 12 April 1992 against Sweden and ending in a 2–2 draw. At the 1992 World Championship Russia finished first in its preliminary group but lost to Sweden in the quarterfinals, 2–0. They, however, won the next edition of the tournament, beating Germany, Canada and Sweden in the playoffs and clinching their first title as Russia and 23rd, including the USSR's totals. As the USSR fell apart, so did Russia's elite hockey program. At the 1994 Winter Olympics they finished fourth overall, losing the bronze medal match to Finland. Russia also competed at the 1996 World Cup, the successor tournament to the Canada Cup, where the team lost in the semi-finals to the eventual winner, the United States. At the 1998 Winter Olympics, Russia won five consecutive games and reached the gold medal match, where they lost to the Czech Republic, 0–1. After failing to win the gold medal between 1993 and 2007, the Russians restructured the national league as the KHL and hired the 1993 World Champion, Vyacheslav Bykov, as the head coach. Another 1993 champion, Sergey Fedorov, was named the team captain. Afterwards, Russia won the 2008 and 2009 World Ice Hockey Championships with perfect records, beating Canada in the finals two times in a row. The Russians would make another run in 2010, losing to the Czech Republic in the gold medal game. However, the disastrous 2010 Olympics and 2011 World Championships led to Bykov's removal. Bykov was replaced with Bilyaletdinov, under whose leadership Russia won the 2012 Men's World Ice Hockey Championships with yet another perfect record, beating Slovakia, 6–2, in the gold medal game. However, as a result of the 2013 Championship and 2014 Olympic performances, Bilyaletdinov was replaced with Oleg Znarok. Znarok then led the Russians to the gold medal in the 2014 World Ice Hockey Championship after defeating Finland 5–2 in the final, with a perfect record. The 2014 tournament result set the most perfect records in the IIHF World Championships. For this accomplishment, the Russian team was honored in the Kremlin. In each subsequent tournament, Russia earned a medal, including the silver medal in 2015, and the bronze medals in 2016 and 2017. The team also reached the semifinals of the World Cup, losing to Canada, the eventual winner. In 2018, the Russian Olympic Committee was disqualified by the International Olympic Committee for doping, but the Russian hockey team was cleared to participate by the IOC under the Olympic flag as the Olympic Athletes from Russia (OAR) using professional Russian hockey players with no previous drug violations and a consistent history of drug testing. Like the rest of the Olympic hockey teams in 2018, the Russian team could not use NHL players due to the league's prohibiting player participation in the Olympics. As a result, the team relied on players from the KHL (15 from a reigning champion, SKA Saint Petersburg, 8 from HC CSKA Moscow and 2 from Metallurg Magnitogorsk). After a loss in their first game to Slovakia, the Russian team defeated Slovenia and the United States, qualifying for the quarterfinals. The team then defeated Norway and the Czech Republic to reach the finals. The team won the gold medal after a 4–3 overtime victory over the German team in the final. The Russian team outscored their opponents 27–9 through the tournament. Nikita Gusev, Kirill Kaprizov and Ilya Kovalchuk were the top scorers for the team, with Gusev the top scorer of the tournament. Goaltender Vasily Koshechkin had a 0.936 saves percentage, second to Jonas Hiller. Kovalchuk and Pavel Datsyuk each won their first gold in their fifth Olympic appearance and together with Slava Voynov, were the only players with prior Olympic experience on the team. Koshechkin, Voynov, Kovalchuk, and Datsyuk were named to the media-voted all-star team, with Gusev named the best forward, Voynov the best defenseman, and Kovalchuk as the tournament MVP. In its post-Olympics World Ranking, the IIHF considered the OAR team as the Russian team in its rankings. After the Olympics, Znarok became a consultant for the Russian National Team. He retired as Russia's most decorated modern head coach, with a World Championship, an Olympic gold medal, and a Euro Hockey Tour victory. Ilya Vorobiev was hired as the interim head coach of the Russian national hockey team in April 2018 for the 2018 IIHF World Championship and the second half of 2017–18 Euro Hockey Tour. In the remainder of Euro Hockey Tour, Vorobiev led the Russian team to a 1–5 record, following the 5–1 record of the Znarok-led team in the first half of 2017–18 Euro Hockey Tour, for the team to finish 6–6 on the season. At the 2018 World Championship, Russia finished second in its group and lost to Canada 4–5 in the quarterfinal, finishing sixth overall. Vorobiev became the first Russian head coach to hold a 6–8 overall record after the Euro Hockey Tour and the World Championship, and the first to hold a 1–8 record against the other Big Six hockey teams. The Russian Hockey Federation renewed Vorobiev's contract. The Russians started 5–1 in the first half of 2018–19 Euro Hockey Tour, improving Vorobiev's overall record to 11–9, and 6–9 against the other Big Six hockey teams. The bronze medal winning Russian team at the 2002 Winter Olympics. The Euro Hockey Tour (EHT) started in 1996 and is held every season between the quartet of European nations of the Big Six nations of ice hockey. The usual format is to have the teams play against each other four times, once in Finland, once in Russia, once in Sweden, and once in the Czech Republic. There are occasional deviations from the format if additional nations, such as Canada, are invited to compete. Russia has won the EHT seven times as of 2018[update]. ^ a b Some controversy exists over how many Olympic gold medals should be attributed to the Russian national team. The IIHF and Ice Hockey Federation of Russia consider Russia to have won gold at the Olympics twice, attributing the 1992 gold medal victory to the Russian national team as the immediate successor of the CIS team, as well as the 2018 gold medal by the Olympic Athletes from Russia. However, the International Olympic Committee does not recognize Russia as ever having won the gold medal in an Olympic tournament, as the 1992 and 2018 tournaments were won by athletes from the Unified Team and Olympic Athletes from Russia delegations, respectively, and not by a Russian delegation. ^ a b c d "World Ranking released". International Ice Hockey Federation. 25 February 2018. ^ "Russia IIHF". Retrieved 4 May 2010. ^ a b IIHF (2008). "Team with no name wins Olympic gold". IIHF.com. Retrieved 12 November 2017. ^ a b IIHF. "OLYMPIC ICE HOCKEY TOURNAMENTS, MEN". IIHF.com. Retrieved 26 February 2018. ^ IOC (2018). "ICE HOCKEY MEN". International Olympic Committee. Retrieved 26 February 2018. ^ a b c Stepan Chaushyan (10 December 2013). "Олимпийские надежды: сборная России по хоккею" [Olympic Hopes: The Russian Hockey Team] (in Russian). Argumenty i Fakty. Retrieved 14 May 2017. ^ a b "Строительство "красной машины". Часть 1" [The Construction of the "Red Machine". Part 1] (in Russian). Russian Hockey Federation. Retrieved 14 May 2017. ^ IIHF (2008). "Soviets hammer Canada, win gold at their first Worlds". IIHF.com. Retrieved 14 May 2017. ^ IIHF (2008). "Team with no name wins Olympic gold". IIHF.com. Retrieved 14 May 2017. ^ "What the Olympic hockey tournament looked like before NHL participation". The Daily Hive. 3 April 2017. ^ IIHF (2008). "Breakup of old Europe creates a new hockey world". IIHF.com. Retrieved 14 May 2017. ^ Nadel, Mike (22 February 1998). "Czechs Win Hockey Gold". APNewArchive.com. Retrieved 14 May 2017. ^ "Greatest Russian Hockey Players Of All Time". Sports Illustrated. 12 February 2014. Retrieved 13 November 2018. ^ "Euro Hockey Tour details". Eurohockey.com. Retrieved 28 December 2018. ^ "Channel One Cup". Euro-Hockey-Tour. Retrieved 28 April 2018. Wikimedia Commons has media related to Russia men's national ice hockey team.